Readers’ votes are in and the jury has spoken. Presenting the five Mumbai Heroes. After thousands of reader votes and hours of jury discussion, Mumbai has its Fab Five — the unsung Heroes who make this city tick. This follows an almost a month-long process where Mirror identified 27 heroes, and profiled their work and its impact. While it was almost impossible for the jury to choose just five winners from the 27 nominees (they admitted as much), they hardened themselves to arrive at the final decision after over two hours of heated discussions. The five are: Sampuran(e)arth, a collective of three engineers who gave up their lucrative jobs to clean Mumbai and to create wealth out of the gargantuan 10,000 tonnes of waste it generates daily; Parents and Children Against Trafficking – PACT, a group of 12 women from the Wadala Transit Camp who ensure children from their community do not become victims of trafficking and child marriage, Bhau Daji Lad honorary director Tasneem Zakaria Mehta, the Save Aarey campaigners who got the state to move the proposed Metro car shed elsewhere, and Rajaram Joshi, a voluntary life-guard who saves those who jump or fall into the Vashi creek. Read the full article, published on Oct 29, 2015, on Mumbai Mirror. A lack of education has not stopped a group of 12 women from steadily transforming the Wadala transit camp. Together, they battle against child marriage, trafficking and a high dropout rate in their community’s schools. Past victims themselves, they work closely with the NGO Aangan, which works towards strengthening India’s child protection system. Their intent is clear — they don’t want future generations to suffer the same fate they did. The Wadala transit camp is home to a population of approximately 22,000 migrants. Some are project-affected persons. Others had lost their homes to false promises of redevelopment. With the state refusing to recognise their existence, law and order has only deteriorated in this community. Child trafficking is an open secret. From a young age, children drop out of school to work as busboys, while others sniff glue in dark alleys. The fear of sexual predators has forced families to confine their daughters. Many girls aren’t even allowed to attend school. The children who clean our homes, the ones who look after our children. The ones that walk the streets all day, waiting for the traffic light to turn red. The ones forced into marriage, the ones that bear offsprings not much younger than themselves. The ones who are neglected, abused and abandoned by their families. The ones with no support and no fight left. These are 40% of the children in our nation with no childhood. These are the children we see all around us. We often see these kids and think, “I want to help them!” This moment of reflection soon turns into paralysis and helplessness- “How do I help them? Where do I start? Even if I reached out, there’s no way I could help all of them! Anyway, I don’t think I could make much of a difference.” With that, this moment of reflection passes and we carry on doing whatever it is that we were before we paused. Read the full article on YouthKiAwaaz.com. The authors, Deepika Khatri and Mahi Khakhar, are the Strategy and Advocacy Coordinator and the Executive Administration Associate at Aangan. Two weeks ago, I traveled to Chandauli for the first time, a two-hour drive from Varanasi. For the past year, I’ve been following Aangan’s work there with vanvasis, a Scheduled Caste group who live off the forest. I had a mental picture of what I was about to see – deeply malnourished children with too-large heads and protruding bellies, their parents collecting wood and betel leaves from the forest to eke out a living. To reach the village, we got off the main road, onto a dirt track, now almost indistinguishable after heavy rain. From there, it was a one-kilometre walk to the village, wading through knee high water to reach the first clutch of houses. The village is in a valley between hills, and transportation is virtually non-existent. In other circumstances, purely as a tourist, the setting would have lifted my spirits – mud houses with low, thatched roofs, a few buffaloes, streams and an air of quiet, bucolic. At first, I couldn’t quite put my finger on what was wrong. The rudimentary school and malnourished children didn’t surprise me. Nor did the men and women sitting outside their homes all day, no claim on their time, no work to tend to. As I spoke to a group of women from the community, it began to hit home. Read the full article on TheWire.in. 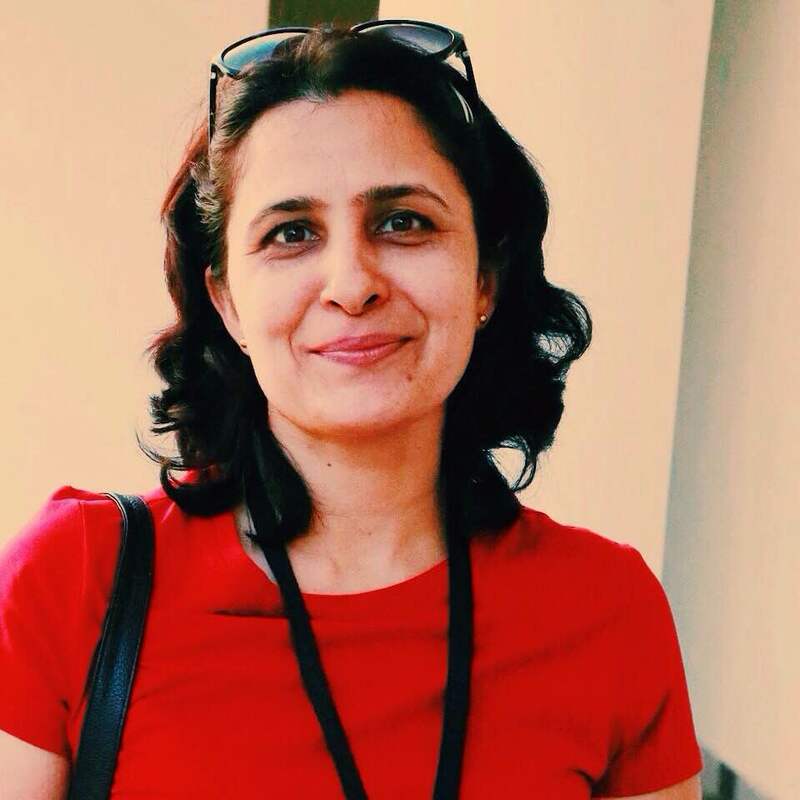 The author, Deepika Khatri, is the Strategy and Advocacy Coordinator at Aangan. The United Nations’ International Youth Day, celebrated every year on August 12, is an opportunity to highlight issues faced by young people around the world. In the current global climate – the refugees fleeing crises in Syria, Iraq and Libya, the instability in Africa, and the financial woes of Greece and the rest of Europe – children and the youth, as always, are the worst affected. Yet, even in such adverse circumstances, it is the youth who are the drivers of development and change. 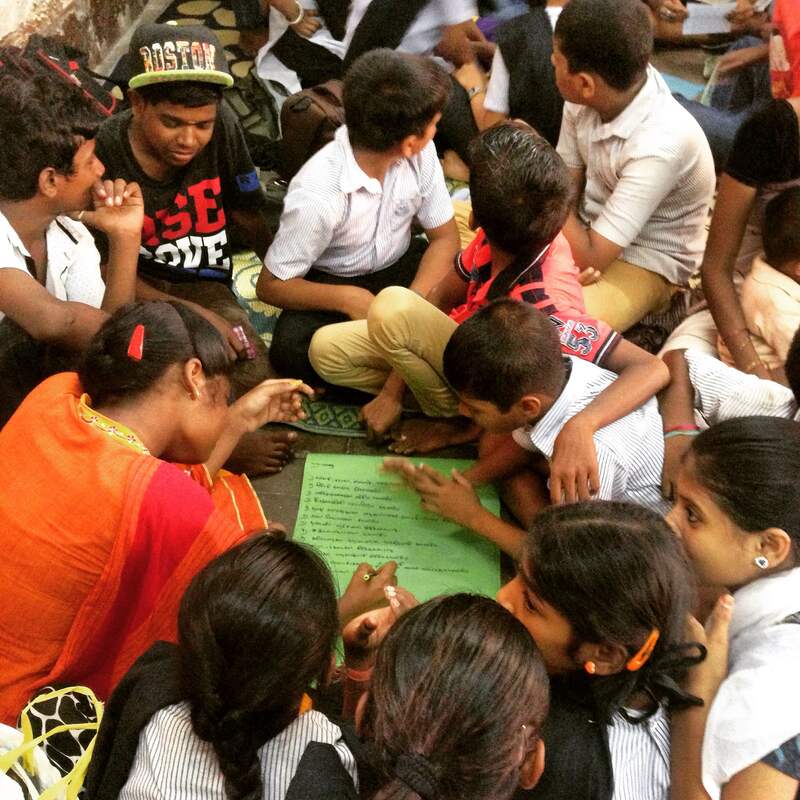 This year’s theme – “Youth Civic Engagement” – is particularly relevant for the children in the communities that Aangan works in. Most of these children live in bastis or hutments, which have little by way of access to basic services such as water supply, electricity, schools, hospitals or even toilets. International Youth Day is, therefore, also an opportunity to recognise and promote the participation of young people in the development of society. Through programs aimed at building their resilience and knowledge, and supporting them to negotiate with adults and the government, these children are empowered to raise their voices on the issues that impact them and their communities. They can play a vital role in shaping their society because no one can represent their communities better than them. Their thoughts and ideas, therefore, matter a great deal, and this idea is something that must be inculcated in both adults as well as children. Therefore, on August 12, children in 10 communities across four of the states that Aangan works in came together to discuss the issues pertaining to their community that they would like to tackle. Through role-plays, songs and debate, they spoke of how they can use their skills and talents to bring about effective change in their neighbourhoods. 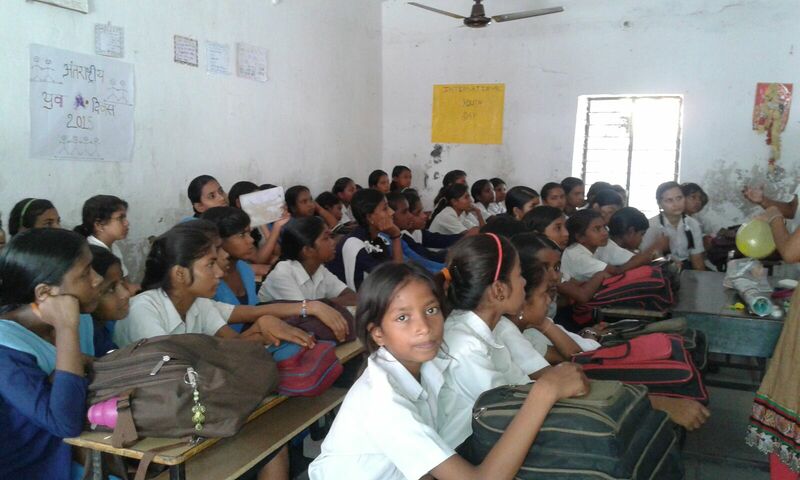 Apart from more immediately actionable issues such as cleanliness, hygiene and open defecation, children also spoke about the sexual harassment girls faced in their basti, gender equality, and why education for girls was of vital importance. “A mother, a wife, and a sister are all first and foremost girls. No society can function without girls and women. Then, why are we so oppressed and considered lesser than men?” 15-year-old Pooja* asked the room. 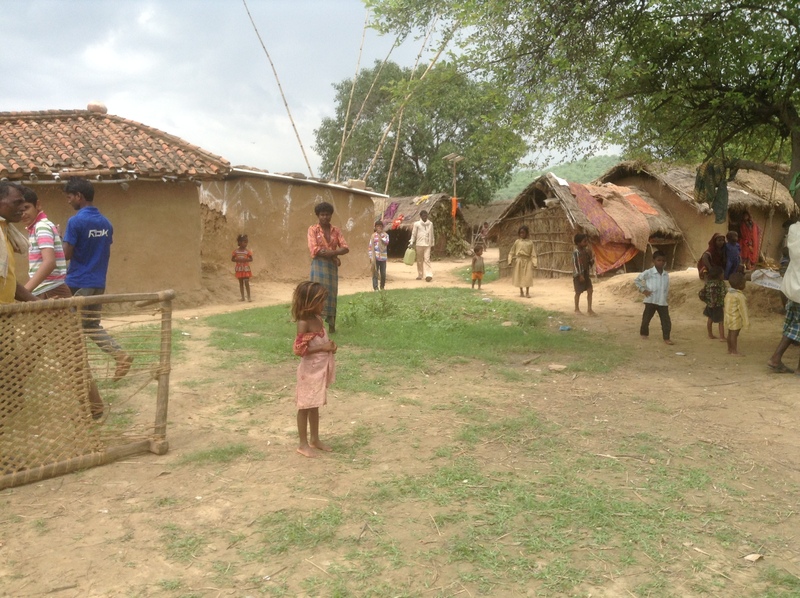 In many of the communities that Aangan works in, children have already worked to get streetlights installed, hand pumps repaired, out-of-school children enrolled in school, negotiated with government officials to improve sanitation services, and helped families gain access to government services and schemes. Through their actions, entire communities have benefitted. Initiatives such as these most effectively demonstrate the power of youth, and the change they are capable of. *Children’s names have been changed to protect their identity. The author, Samyukta Maindarkar, is Communications Associate at Aangan.